WASHINGTON, October 8, 2018 – In keynote remarks at an Oct. 3 international conference hosted by the Cámara Nacional de Comercio, Servicios y Turismo (CNC) and its Observatorio del Comercio Ilícito (Anti-Illicit Trade Observatory, OCI), Luna Global Networks' President and CEO David M. Luna underscored the importance of strategic alliances and public-private partnerships in the global fight against illicit trade on all levels across security landscapes and through more holistic, multi-dimensional and coordinated courses of action. “International cooperation and responsibility-focused partnerships are critical. We work too often in silos and can become myopic in examining market and security threats from looking at these only within one's borders or a specific industry,” said Mr. Luna. Illicit trafficking remains the lifeblood of today's bad actors, criminal organizations and terrorist groups. Illegal trade and contraband are destabilizing threats that help fuel corruption, organized crime and terrorism and lead to greater insecurity and instability around the world. In the days leading up to the CNC event in Santiago de Chile, Mr. Luna had attended the INTERPOL 12th International Law Enforcement Intellectual Property Crime Conference in Dubai, UAE, and a joint meeting in Alicante, Spain of the OECD and the European Union Intellectual Property Office (EUIPO) on illicit trade and small parcels. Mr. Luna is the new chair of the Anti-Illicit Trade Committee of the United States Council for International Business (USCIB) and is currently a Senior Fellow for National Security at the Terrorism, Transnational Crime and Corruption Center, Schar School of Policy and Government, George Mason University. He was previously also the President (Chair) of the OECD TFCIT; Chair of the APEC Anti-Corruption and Transparency (ACT) Working Group and APEC U.S. Coordinator for the ACT Pathfinder Initiative on Fighting Corruption and Illicit Trade; and Vice-Chair of the World Economic Forum Global Agenda Council's Illicit Trade and Organized Crime group. 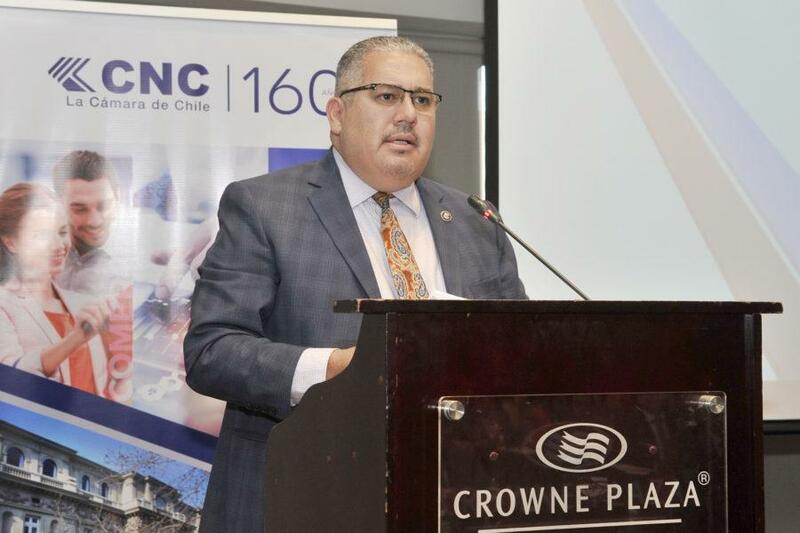 Find Mr. Luna's CNC Anti-Illicit Trade Observatory (OCI) Keynote from Santiago de Chile, “Illegal Trade and Contraband: Global Threats to Economies and Markets,” @ https://www.linkedin.com/pulse/illegal-trade-contraband-global-threats-economies-david-m-/.